P There are 19 products. 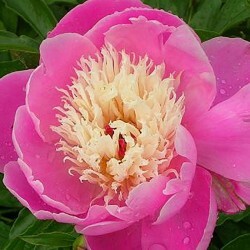 Herbaceous peony. Floriferous variety. Flower composed of two rows of soft pink petals with a big heart from creamy yellow to pure white. Land permeable and airy, sunny, humus. 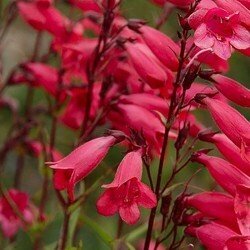 L "firebird" sets the tone for this bright red penstemon that will shine all summer in massive .fleurs in beautiful bells hanging in bunches. Any well-drained soil in winter. Prune clumps in spring after the frost. Rhizomatous plant ground cover of bank or fresh ground. Blooms in late winter low to the ground (before the appearance of the foliage) in ovoid clusters of pink and purple vanilla scent. 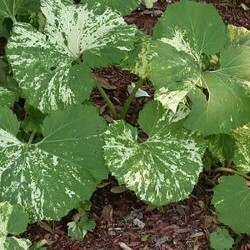 Large heart-shaped leaves variegated with yellow. The gray-green perennial evergreen. In may, his strong upright stems to bear laisselle leaves, yellow flowers shaped helmet jupiter. Plant structuring to install solid medium. Any soil. Original! 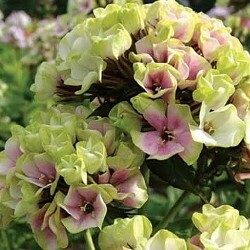 Anise yellow and purplish pink combination for this new phlox. Very good flowers for bouquets. Massif roses at the foot of grass or as an accompaniment. Good rich garden soil. 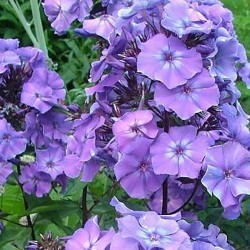 Phlox variety whose color is closest to true dun blue depending on the light. This is late in the day or in partial shade as lon sapproche blue under the sun flower looks more purple. Fragrant flowering. Good cut flower. 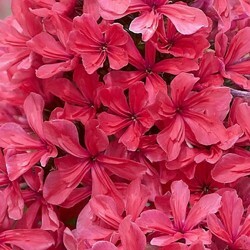 A theatrical phlox with its special flowering: flowers lined dune row of petals starred clear cherry forming large very fragrant heads. Disease resistant. Good cut flower. Massifs. Rich soil, drained and not too dry. 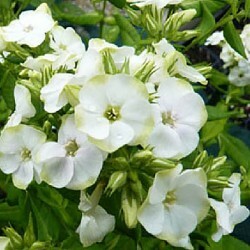 A large immaculate white phlox for massive and bouquets. 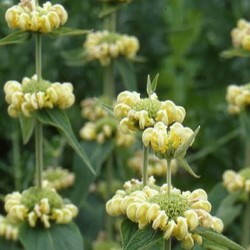 High variety, camped on strong stems that do not sleep with the wind. 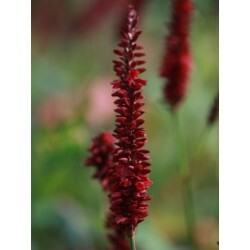 Very resistant to powdery mildew. Rich soil and preferably fresh. 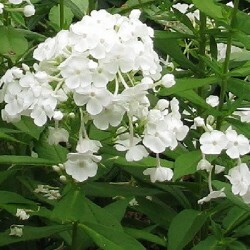 A phlox bouquets that does not lose its petals before the full flowering of his panicle. Original: jock panicles of white flowers almond green. Compact habit. Good resistance to mildew. Rich soil and fresh. 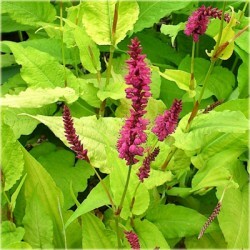 Rhizomatous perennial with creeping strain. 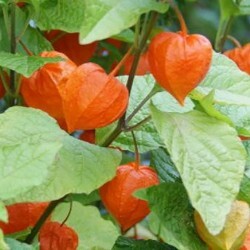 White flowers, insignificant, followed by numerous bright red fruit imprisoned in chalices swollen shaped red lanterns vermilion maturity. Use in floral art. Any soil drainage.